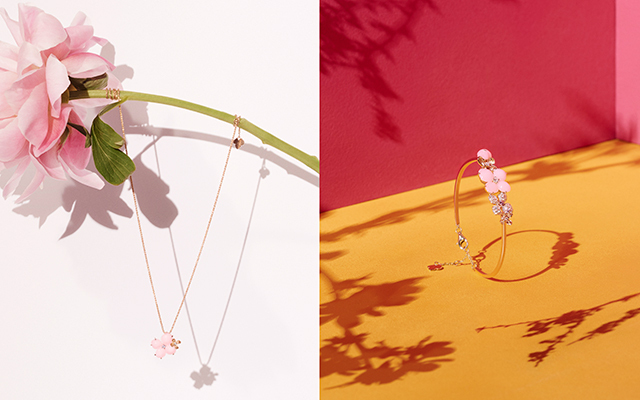 Chaumet has channeled nature's most blooming assets adding to their already sparkling selection of Hortensia jewellery. Chaumet have captured the essence of creation with a new addition to their Hortensia collection. Delicately crafted with soft pastel pinks and rose gold finishings, these sparkling pink sapphire and opal creations are complemented with a flawless floral-cut finish. Available in a ring, pendant, bracelet and earrings, the coveted collection is infused with inspiration taken from the beauty of flowers, specifically hydrangeas, and the magic of gardens, which has been echoed throughout the collection.